RubyFrost apples are available in mid-fall through early winter. The RubyFrost apple is a new variety of Malus domestica that was developed by Cornell University’s breeding program. RubyFrosts are overall an excellent apple, and are easy to grow and harvest, since they remain on the tree when ripe.  The trees grow well in climates similar to upstate New York, where it was originally bred. Apples contain a host of great nutrients, including Vitamin C, potassium, and boron. They are particularly high in dietary fiber and pectin, keeping the digestive system strong. 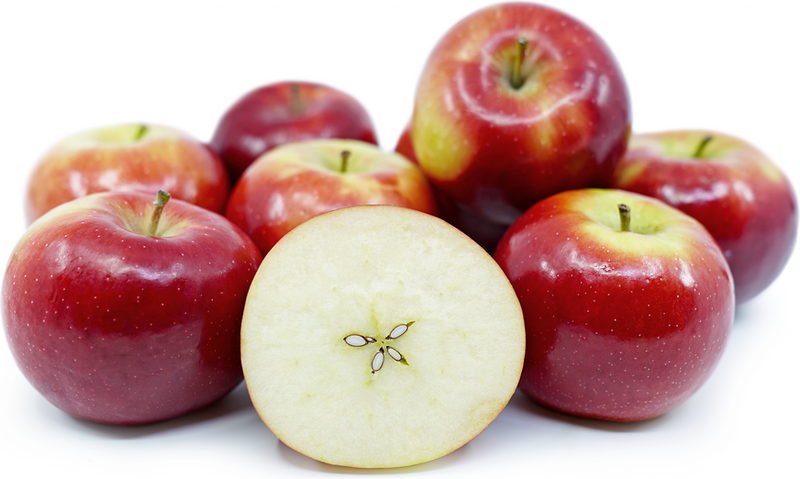 Apples do not have high amounts of nutrients such as sodium and cholesterol. These are fairly versatile apples, good for fresh eating, baking, and sauces. They are slow to brown when cut open, making them good for salads and other fresh uses. RubyFrost apples pair well with red wine and light salads. Although most apples throughout history have been created by discovering a chance seedling, more modern varieties go through a rigorous scientific breeding process. In the last few years alone, over 130 varieties of apples have been introduced through breeding programs around the world. Scientists are constantly looking for apples that are disease and drought resistant, taste great, and are easy to ship and market. 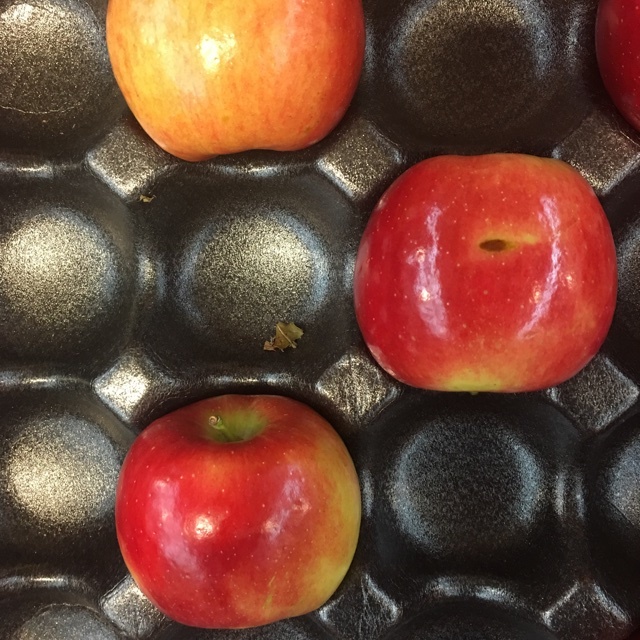 Like several other apple varieties, RubyFrost is the result of a breeding program at a university. This particular variety was developed by Cornell University over almost two decades. It was first planted in 2011 and then marketed in 2013, along with SnapDragon. After a limited release, RubyFrosts became more widely available in 2015. Recipes that include RubyFrost Apples. One is easiest, three is harder. 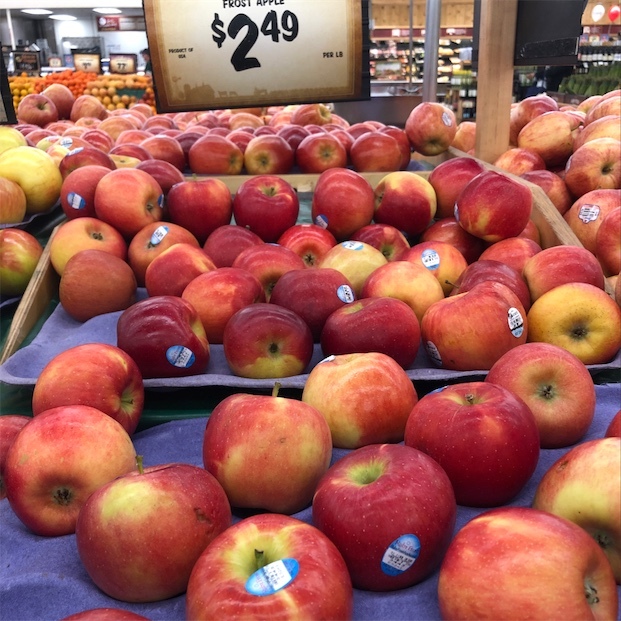 People have shared RubyFrost Apples using the Specialty Produce app for iPhone and Android. 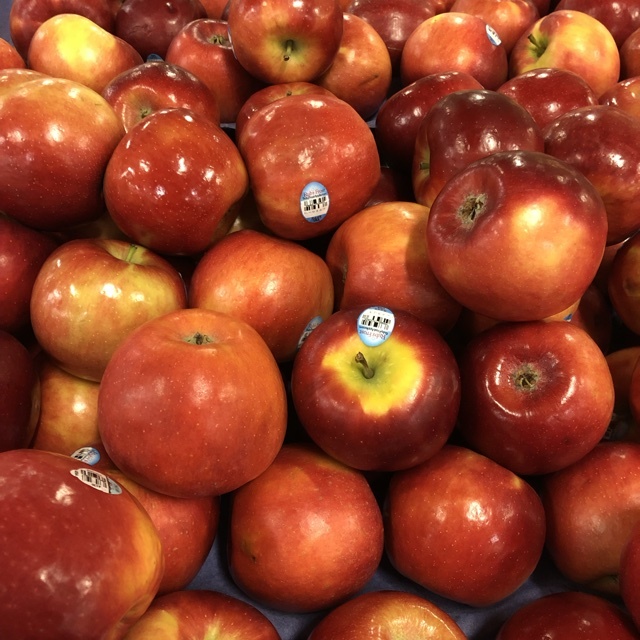 Sharer's comments : RubyFrost Apples spotted at Sprouts Farmers Market . 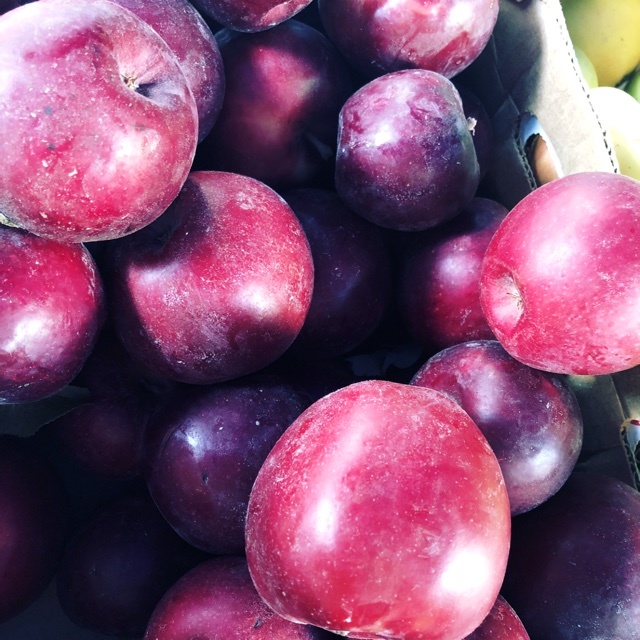 Sharer's comments : RubyFrost Apples spotted at Queen Anne Farmers Market. Perfect in pies, sauces, and snacking - Yum! 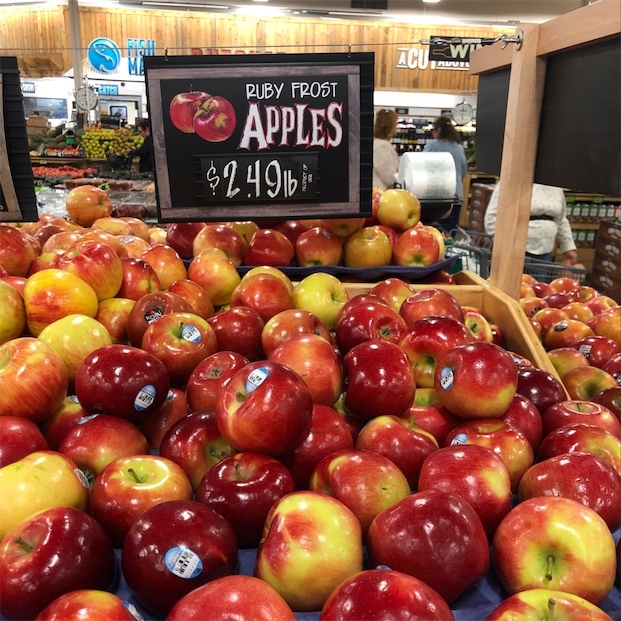 Sharer's comments : RubyFrost Apples spotted at Marketplace Foods. Sharer's comments : RubyFrost Apples spotted at Lake Of The Woods Foods.